Aerosol package. An impressive package. The aerosol packaging is an impressive form of packaging that is used in daily life. It is a fact that the invention of the aerosol package, during the 20th century, resulted in a pleasant revolution in our daily life. As a form of packaging for a series of products it has made our life more convenient and more pleasant. No other form of package can do what an aerosol package does. The content of an aerosol package is neither affected by the air nor by the microorganisms of the external environment and it does not split up or looses its activity. A lot of products can be safely packed as aerosols while the health conditions are kept and they remain unchanged for long periods of time. A product packed in aerosol form can be used at controlled doses of certain quantities in fine dispersion and thus the products are applied accurately and without waste. At any moment is ready to be used. The aerosol packages allow accurate application without waste and without dripping in places which are approached with difficulty. 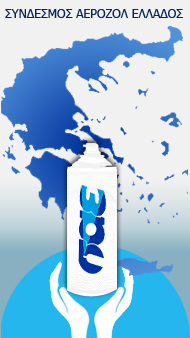 Millions of users all over the world have personal experience of the above mentioned positive attributes of the aerosol package in personal care products, household applications, medical treatment, in hair-dressers or auto-repair shops. 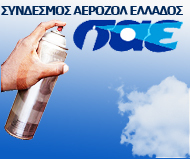 Almost no activity of our daily life exists where the aerosol packaging is not used. In order that the aerosol multi-dimensional package is practically operational, it is necessary that physics, chemistry and technology cooperate successfully. So, finally, the aerosol package does not only provide a perfect help in many cases but it is also a small technical miracle, the outcome of an interesting cooperation.